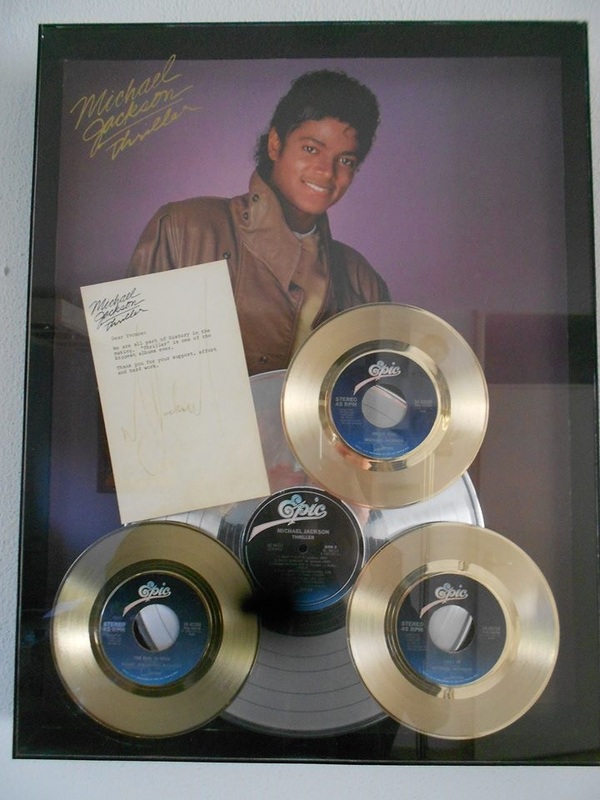 The demand for awards and memorabilia owned and signed by Michael Jackson continues to grow at an unprecented level as current values prove them to be a solid ongoing investment for collectors! Through various personal and professional connections very close to Michael, MJJCollectors.com can now offer to YOU some of the most amazing and one of a kind pieces, several of which were formerly owned by Michael Jackson...the KING OF POP himself! Click here or here to view a complete display of all of the awards we currently have to offer! If you are not a member of our FaceBook group, you can view and download images of Awards and Rare MJ Memorabilia we are currently offering. These are just a few of the many memorabilia items that we are now making available for the very first time to SERIOUS Jackson collectors/investors!! Click the links above or below for sample photos (or visit our FB display wall here), and contact laura@mjjcollectors.com with your (SERIOUS) offers! Look at some these one of a kind pieces of HIStory we are now offering!! 1) This Stellar and very rare Thriller Multi Platinum Gold Award wanted by Michael to celebrate Thriller's Album and sent to some of his family members and Epic crew who collaborated to the release. This is personally Signed and devoted to his sister La Toya (Yvonne is her second name). 2) Artist Of The Decade released in 1990 by MJJ Productions to celebrate 10 years of Michael's success, made in a limited series of only 1000 pieces around the world. Signed by Michael Jackson himself! 3) Thriller Platinum Test Pressing Official Award Presented AND SIGNED by Michael Jackson himself to celebrate Thriller's success!! This AMAZING award (shown above left) was produced in very limited pressings but was never released publicly. It was later developed into what was to become the "Artist Of The Decade" award, but unlike that award, this one is HAND SIGNED (not auto-pen) by MICHAEL JACKSON! This same award was recently sold by Julien's Auctions for more than $7500! 4) Stunning Signed BAD Award For Billboard Hot 100 Record 5 Number One Singles Presented to B. Jones! 5) Original Jacksons Contract for “That's What You Get For Being Polite” (from the 1978 Destiny LP) signed by all The Jacksons, including Michael and his father Joseph. This was purchased at an auction in LA, where the Jacksons gave some of their personal belongings for charity, so this also comes directly from the Jackson family archives!!! And here are some newly acquired awards we are now making available for the VERY FIRST TIME! 1) HIStory Swiss Platinum Award Presented to Michael Jackson! Stunning platinum award for HIStory presented and owned by the King Of Pop himself! 2) Exclusive BAD Record Award Presented to Jenifer Landrum: WOW!!!! 4) Off The Wall Official Gold Award made for Michael Jackson in Holland!! 5) Dutch Award for 750 million Copies Sold Worldwide Presented to Sony Music BMG in the Netherlands. This award features a rare and stunning image of a young MJ with several wonderful LP covers! 7) Black Or White RIIA for 1 Million Copies Presented to Epic Records! 8) Thriller Platinum Award To Commemorate Sale Of 1 Million Copies Sold: Atlanta Sales Territory: Amazing award to celebrate platinum sales in the Atlanta record market from 1983! And don't miss out on your chance to own these one of a kind pieces of HIStory! 9) Invincible Original Platinum RIIA Award Presented to Sony Music For 1 Million Copies Sold: STELLAR Award for sales of Invincible CD and cassette!! 10) HIStory Original RIIA Presented to Epic Records for 1 million Copies Sold! Official RIAA award to celebrate the sales of the HIStory album in the USA! 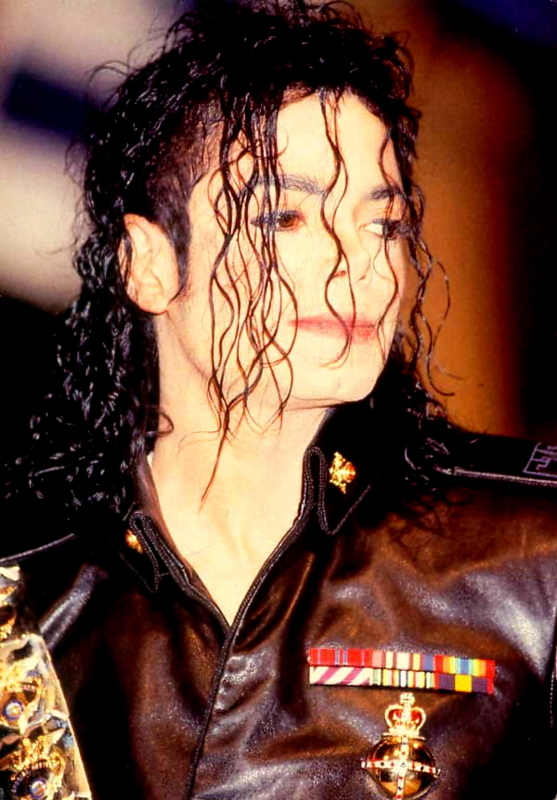 11) Invincible Original RIIA Award Presented To Sony Music for 2 Million Copies Sold for Album, Cassette & CD! Massive award features four huge silver records and the CD and cassette of the 2001 album! 12) "The Way You Make Me Feel" Japanese 7" PS Single Signed By Michael Jackson...THREE TIMES!! This Japanese picture sleeve record is autographed by Michael in three places: on the front of the picture sleeve, and on the front and back of the record sleeve (the front of the record sleeve has part of the signature also on the actual record label). This item was signed by Michael in September of 2001 while he was in New York City for his "30th Anniversary" concerts at Madison Square Garden!!!! Additional pictures are available for all of these items but ONLY to those collectors interested in making SERIOUS offers. If the offer in mind for items of this magnitude is only for a few hundred dollars.These are one of a kind pieces of HIStory, many of which were owned by Michael Jackson and many would sell for at least several thousands of dollars each at the top auction houses. SERIOUS inquiries may be directed to laura@mjjcollectors.com. We have several rare one of a kind pieces such as the above, including numerous items owned and/or signed by Michael Jackson. So if you are looking for something specific (ie: awards, Neverland items, clothing, autographs, etc.) please let us know and we’ll be happy to communicate with you. Be sure to check out our Award for sale page on our Mediafire link where you will find many rare items on offer including the original Jackson Five “Action Game” similar to this one on our site…but this one is STILL SEALED! Also be sure to check our Ebay Store for new additions. Please note that we have many rare 100% OFFICIAL items that we never list on Ebay due to rising Ebay commission fees, such as a THE RAREST PROMO CD EVER: 'SIGNATURE SERIES“ ; Mystery Promo Box” with prototype rare bottle of the soft drink, plastic cup, 2 Mystery cans and a watch (MINT condition!) and a “Give In To Me” UK Advance Promo CD which is very rare and sought-after by MJ collectors! Email us your wants and let us know what MJ rarities YOU are looking for! !